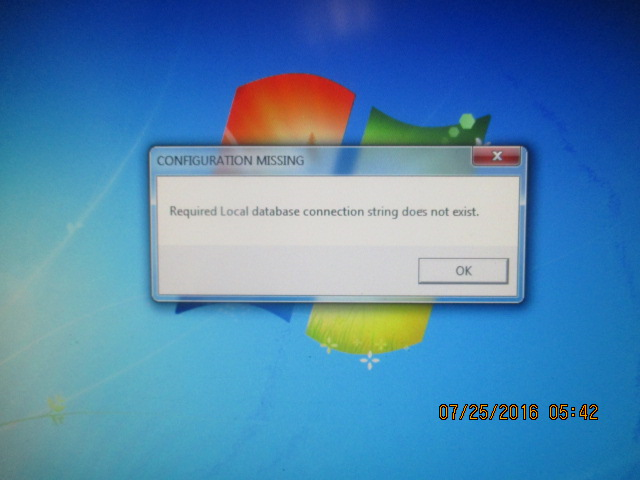 This Error Message Article explains the EBI Pallet Label System error message “Configuration Missing Required Local database connection string does not exist.” and details how to fix the underlying problem that caused it to appear. EBI application seems to lack the permissions to open and update the config file. Adding ‘Run as Admin’ permissions seemed to resolve the issue.